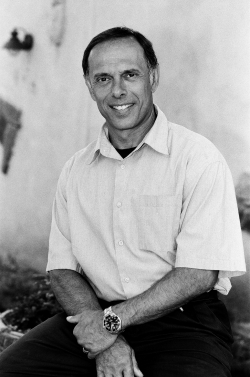 Dr. Charles Longo is in private practice in Midtown Sacramento. He is fully trained in all aspects of of modern plastic and reconstructive surgery including; cosmetic surgery of the face and body, breast surgery including reconstruction, augmentation, and reduction, suction assisted lipectomy, and body contouring. Additionally, his reconstructive experience includes microsurgical techniques, hand surgery, repairing trauma, cancer, congenital problems such as cleft lips and birthmarks, and all other aspects of reconstructive surgery. A Nebraska native, Dr. Longo graduated from Creighton University with a Bachelor of Science Degree. He received his Doctor of Medicine degree from Creighton School of Medicine. Dr. Longo trained in General Surgery at St. Mary's Hospital in San Francisco and the University of Iowa Hospital in Des Moines. He completed his residency in Plastic and Reconstructive surgery at the University of Missouri in Kansas City. Subsequently, Dr. Longo spent a year in fellowship at the University of Paris in Microvascular surgery and with Paul Tessier, M.D., mastering Cranio-Facial Surgery. Dr. Longo has been in private practice since 1987. In February of each year he travels to the Dominican Republic with MACLA to perform surgery on the underprivileged children of the country. In his spare time he enjoys tennis and family activities with his three children. 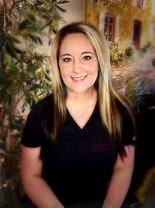 ​ Ruth has been in the surgery field for over seven years and has worked in plastic surgery since 2013. She studied at World Harvest Evangelistic College and graduated with a degree in Counseling; she also studied Surgical Technology at Carrington College of California and graduated as a Surgical Technician. Ruth enjoys working with patients on all levels, from their initial visit all the way to the operating room and directing them through a positive surgical experience. She is dedicated to helping patients achieve their aesthetic goals and will be there to answer any questions you may have before and after your visit, as well as help bridge a positive and open relationship with our practice. ​​​ Awnika started with us at the beginning of 2018 and has quickly became part of the team (family). Her welcoming personality will greet you when you enter our office. She plays an integral role in making sure our patients are well taken care of. Awnika enjoys seeing the satisfaction in patients as they undergo elective surgical procedures and finds it extremely rewarding witnessing our patient’s new-found confidence. She loves being a part of our patients care throughout their recovery process. ​ When she's not running the front office, Awnika enjoys reading, singing, road trips, and spending time with her siblings. We believe in putting the patients' comfort as our highest priority. Our qualified staff is dedicated to meeting your individual needs in a supportive environment. To ensure that your visit is a positive experience, our staff is prepared to listen to and answer any questions or comments you may have in a confidential manner, and work with you to achieve optimum results.